Here is a coupon that is just in time for the upcoming flu season. 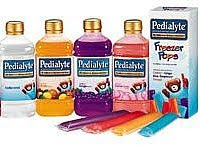 You can save $3.00 off of Pedialyte. Good idea to stock up now so you are prepared for when that nasty virus settles into your little one’s tummy.